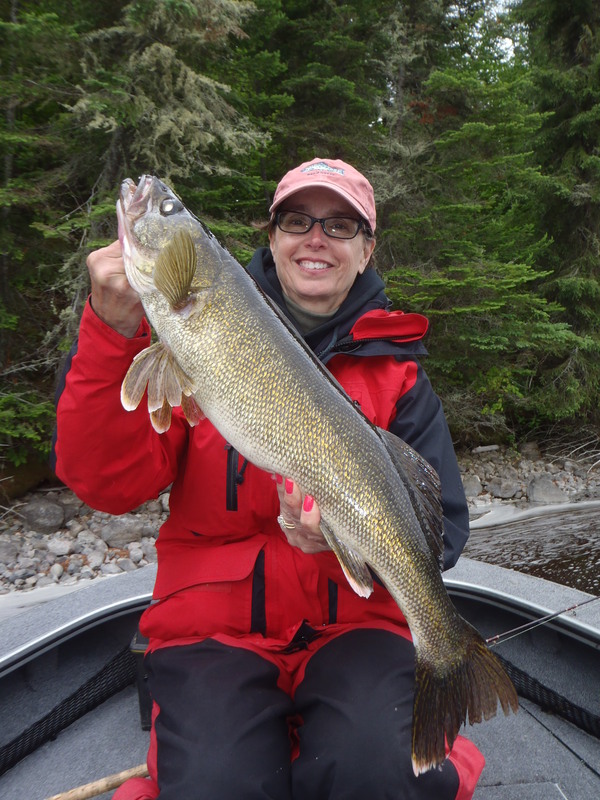 When you write a weekly fishing report, it is tough to stay out of the rut of the same old plot and story line. Fortunately, the new and improved anti-weather patterns for Northwest Ontario provide me with countless choices of discussion topics. 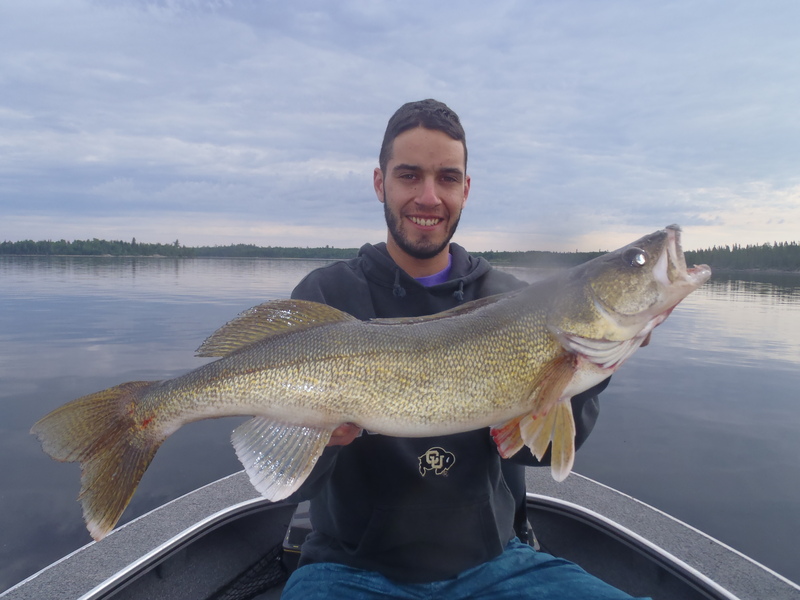 This week, we discovered that days and days of rain and overcast conditions after a super early spring, send almost all of the fish that we care about into deeper water and in some cases, much deeper water. 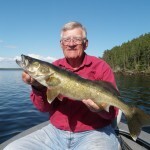 The Pike fishing was horrible, Bass fishing was tough, and the walleye fishing was OK, if you worked really, really hard and were smart about it. 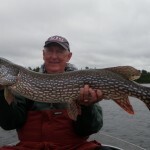 The Pike Details: Long time guests and friends Ed and Debbie Rosenow were up fishing with us this week. They love to hunt big pike. They persevered through one of the toughest pike bites of the year and they would tell you that the volume and size of the fish they caught this week were far below what they expect to see. 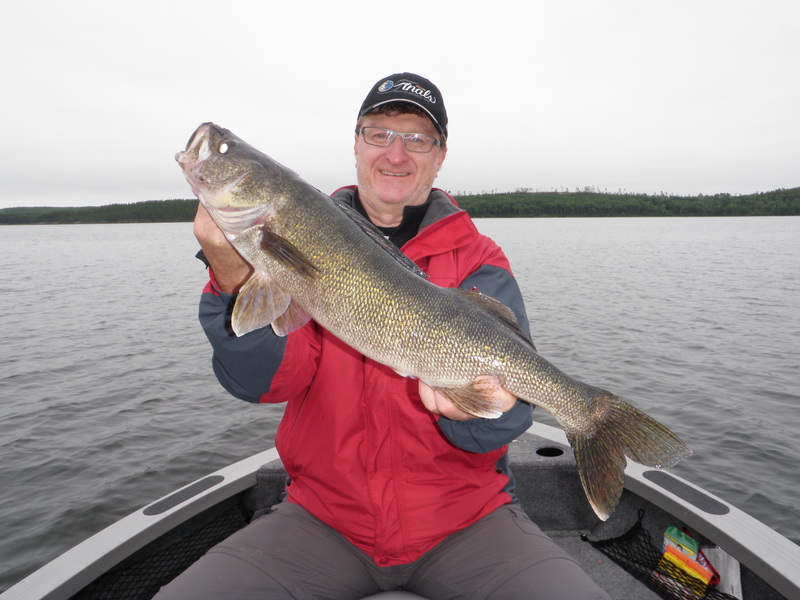 At the same time, Debbie did catch several big walleyes on casting plugs and Ed did top out his week with a big 42 inch gator that followed up and hit right at boatside. 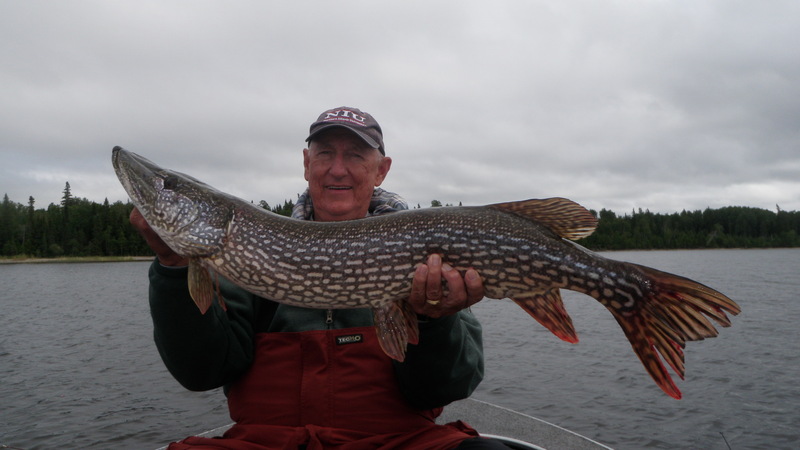 But, you cannot sugar coat this week for pike fishing. It was tough. The cold surface temps scattered the baitfish through the water column and the pike went everywhere except shallow. The Bass Details: It has been a roller coaster ride for my Texas bass fisherman as they have watched my fishing reports over the past few weeks. It started out bad with a super early ice out, there was a respite and some hope after the cold fronts that appeared to delay the spawn, but the inches of rain raised the lake by 2.5 ft. and the mayflies hatched, and the wind blew, and the water was dark, and it was tough to catch bass. For the week we had 59 over 18 in., including 8 – 19s. The fishing was way off and it was not because of effort. 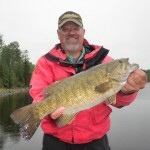 There are virtually no bass in 0 – 4 ft. right now and when you have any conditions that make bass fishing difficult for fish down deep, then our production suffers. 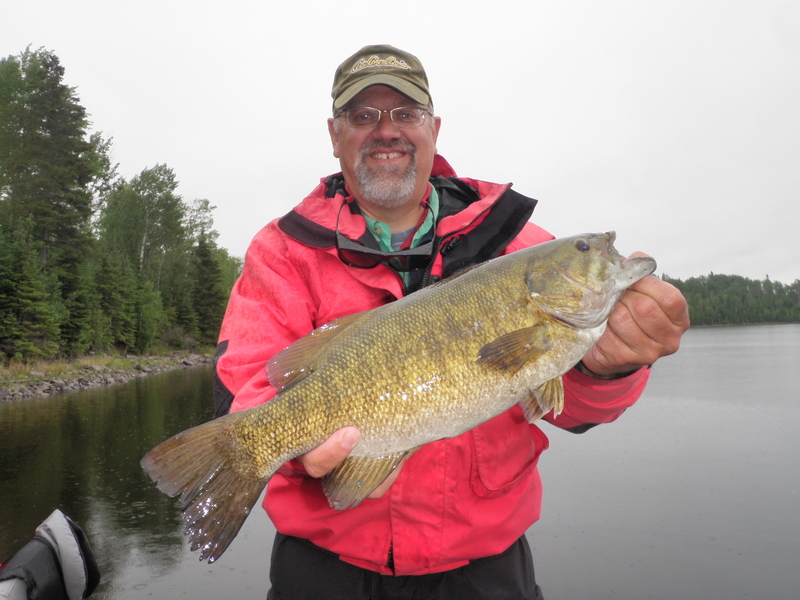 We got it all this week: Wind, rain, no sun, and mayflies equals – Not as many bass as you would be hoping for. 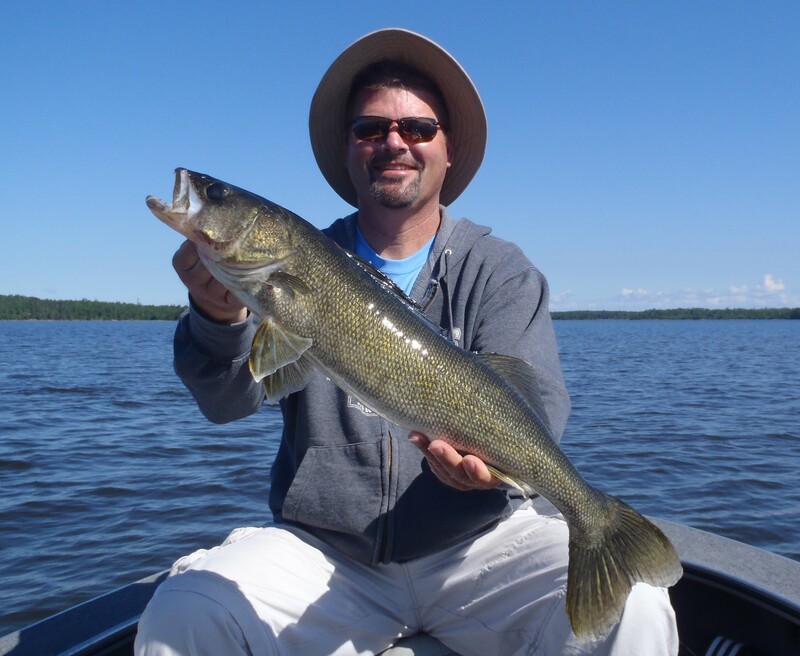 The Walleye Details: Guides crushed numbers and size for big walleyes on deep water summer spots this week. 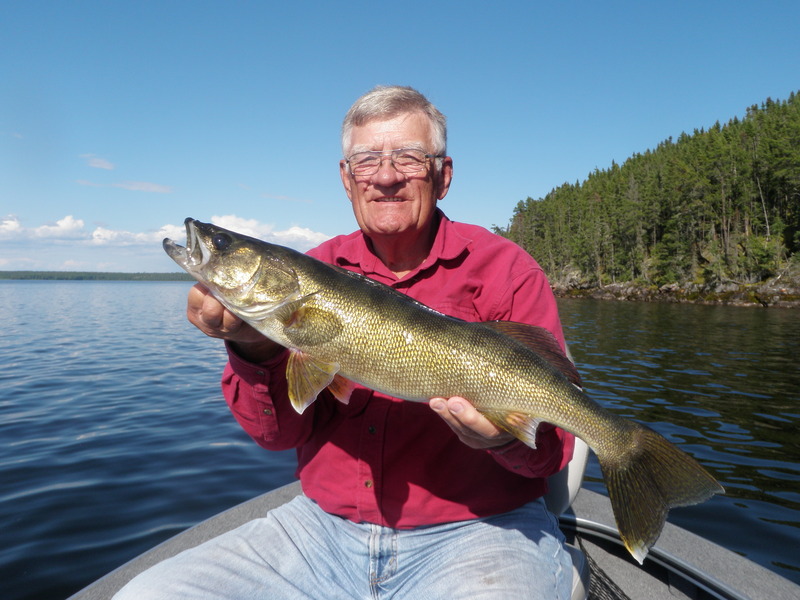 Selective deep water sand and rock produced both numbers and size of walleyes for guides that were willing to dead stick small jigs on rock or drag big jigs and Gulp on deep water sand structure at speed. If you have read this far into my fishing report, then you get to learn one of my secrets: speed is critical. I am not a paid spokesperson for Berkley, but if you want to search and get a baseline for active fish, then there is no better tool than the Berkley Gulp Alive Minnow, Jerk shad, and Crazy legs jerk shad line of products. 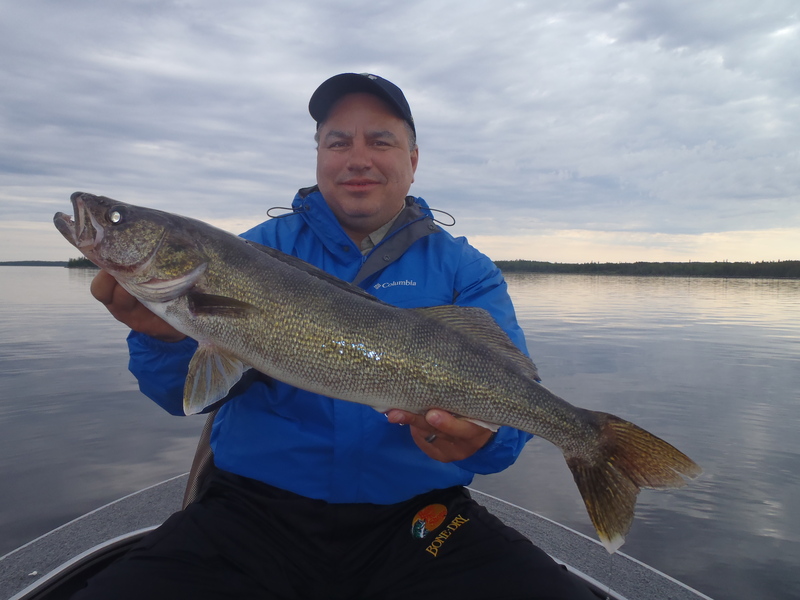 This is no silver bullet and this is no magic lure, it is just a very effective tool to learn if the walleyes that you just marked are Active, neutral, or just “couldn’t care less.” That information lets you know how fast you can and should go. Faster is better, but if they aren’t biting, then slower is best. It all depends on the weather and the gulp is a great way to determine what conditions you are dealing with. 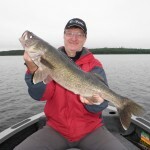 I was surprised that the week end numbers were as strong as they were; we had 37 walleyes over 27 in., including 12 – 28s. 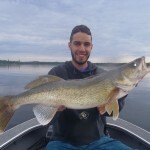 Volume dropped to an average of 25 walleyes over 18 in. each day per boat, but the highest daily total was 58. Most of our production came from summer time structure from 18 – 35 ft. Overall, it was a very difficult week and yet it remains one of the most highly requested times of the year and for good reason. 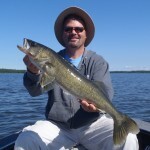 The Bass fishing is usually phenomenal, pike fishing can be good, and the walleyes are normally predictable. 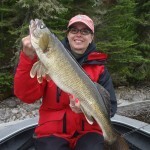 Once again this year, we have seen how dramatically extreme weather can affect our fishing patterns.